Materials science is the starting point of all innovation. When mankind discovered more than a century ago that copper was conductive, electrical power and long distance telecommunication were inevitable. More recently, once silicon was found to semi-conduct, computers and solar panels necessarily followed. Discoveries in materials science always precede and foster the inventions we think of as the great milestones in human development. In 2017, Orbital ATK won a contract to creating an flexible and modular satellite platform for the Pentagon’s Space Test Program Satellite-6 (STPSat-6), an experimental spacecraft designed to detect nuclear explosions and collect weather data.. Orbital ATK sought advanced materials that would shield the electrical wire harnesses from extreme radiation. Orbital ATK turned to American Elements for assistance in determining the most effective way to shield the wiring harnesses from space radiation. American Elements determined that by wrapping the wires in flexible tantalum foils coated with a proprietary laminate material would not only provide radiation shielding but also prevent the absorption of free protons. The coated tantalum foils were successfully implemented in Orbital ATK's platform. The DoD intends STPSat-6 to be the primary payload onboard the Space Test Program (STP) 3, which is planned to launch in June 2019. 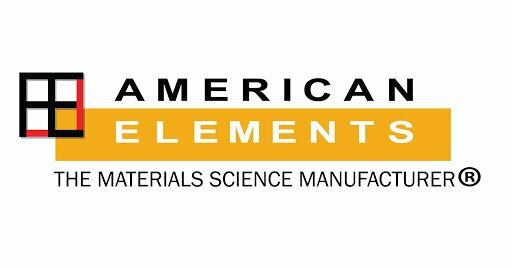 American Elements is the world’s largest catalog of advanced materials. With over 15,000 forms of the elemental building blocks of invention, we provide every possible option to allow for your research and development projects to succeed. Consider us nature's inventory of the raw materials essential to innovation. And we don't just sell materials like one of the many traditional chemical catalogs. We support research & development allowing for the full realization of viable commercial products. We start with the goal of commercialization, not a desire to supply you with chemicals. Working with American Elements' engineers you can prevent using materials that may be less expensive in a chemical catalog in research quantities, but significantly more expensive compared to other options once scaled up to full production. We'll start you on the right path. We can save valuable research funds from being wasted pursuing what are actually known dead ends or asking your researchers to simply "reinvent the wheel" researching whether a given material will work when it has already previously been proven to do so. That is why many of the largest global corporations, national laboratories, and technology startups rely on not just the quality and lot-to-lot consistency of American Elements' products, but our vast experience in the uses and applications of advanced materials. Let us help you invent your "next big thing" and do it on time and within budget.